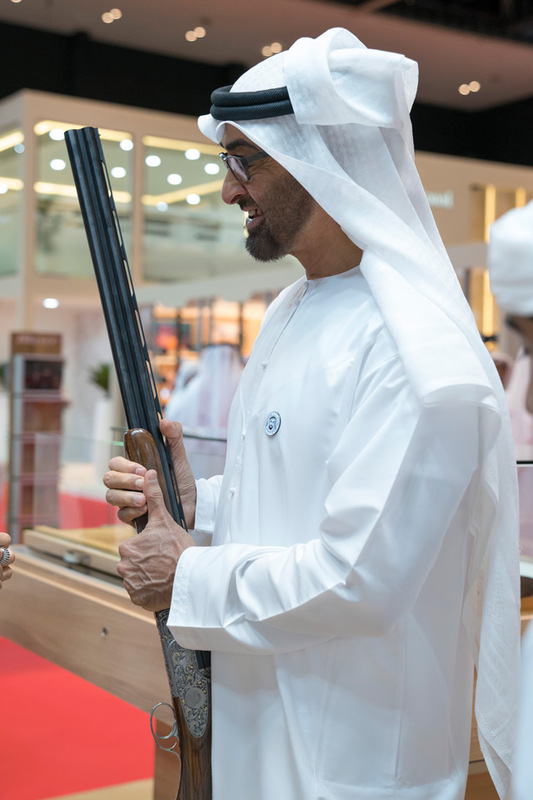 His Highness Sheikh Mohamed bin Zayed Al Nahyan, Crown Prince of Abu Dhabi and Deputy Supreme Commander of the UAE Armed Forces, today visited the 16th International Hunting and Equestrian Exhibition, ADIHEX, 2018, which is being held at the Abu Dhabi National Exhibition Centre, ADNEC, from 25th to 29th September 2018. H.H. 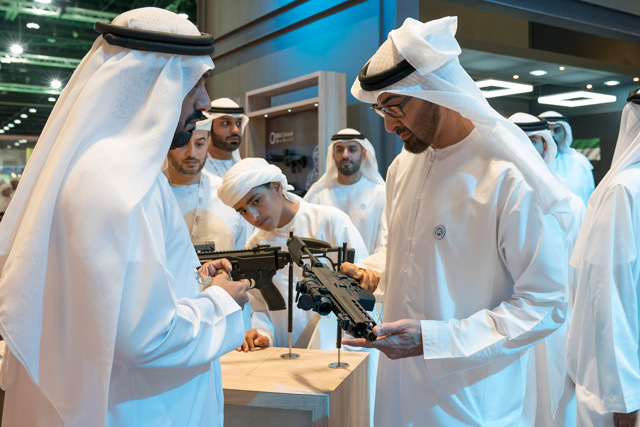 Sheikh Mohamed toured the various pavilions and sections of this year's showcase which coincides with the centennial anniversary of the birth of the late Sheikh Zayed bin Sultan Al Nahyan. He underlined the cultural importance of the exhibition, which, he said, represents a substantial aspect of the quintessential Arabian and Emirati cultural heritage. "The event provides significant insight into the deeply-rooted legacy left by our ancestors," he said, highlighting the paramount importance attached by the nation's Founding Father to reviving elements of traditional culture, primarily falconry and equestrian activities. He underlined the importance of preserving Emirati heritage and doubling efforts to maximise young generations' awareness of their traditions and legacy, lauding the role played by various institutions participating in ADIHEX to enrich the local scene with informative and knowledge-sharing activities. Sheikh Mohamed was accompanied during the tour by Dr. Ahmed Mubarak Al Mazrouei, Secretary-General of the Abu Dhabi Executive Council, Major General Faris Khalaf Al Mazrouei, Chairman of the Festivals, Cultural and Heritage Programmes Committee, and Majid Al-Mansouri, Chairman of the exhibition's Supreme Organising Committee. 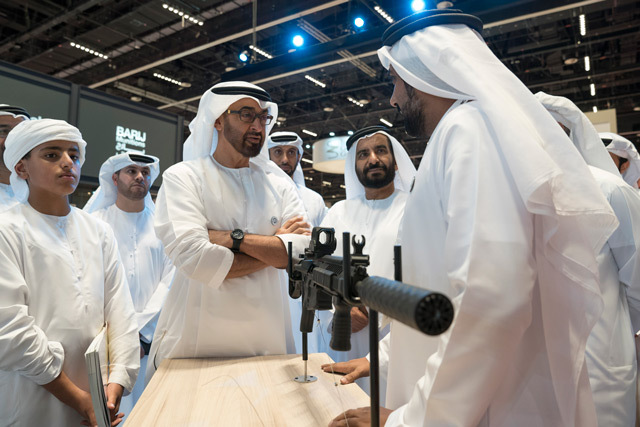 The exhibition is witnessing a considerable turnout of visitors, who enjoyed its various activities, that combine traditional heritage and the latest technologies related to weapons, hunting, camping and falconry.